In this essay I am going to talk about a very important figure in the Bauhaus Institution’s history, Laszlo Moholy-Nagy. The essay is organized as it follows: in section 2 I am going to talk about his life and history; in section 3, 4 and 5, I will talk about how he influenced the photography history and what inspired him. In section 6, I will include some last conclusions and final remarks. Laszlo Moholy-Nagy was a Hungarian- born American painter, sculptor, photographer, designer, theorist and art teacher born on July 20, 1895. 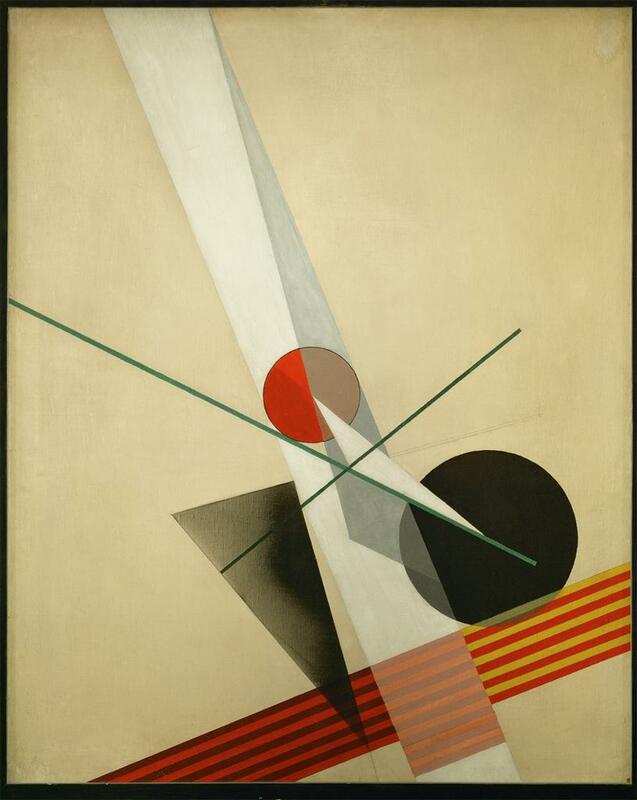 Laszlo started painting after he graduated from Law School and “developed his own abstract style influenced by Malewitsch and El Lissitky, it was inevitable that he would become one of the most important artists of Constructivism” (www.moholy-nagy.eu, no date). In 1921, Moholy-Nagy moved to Berlin where he taught at Bauhaus until 1929. He moved to Chicago in 1937 to “organize the New Bauhaus (later the Institute of Design of the Illinois Institute of Technology), the first American school based on the Bauhaus program” (Encyclopaedia Britannica, 2010). In 1946, he died because of a severe illness. Moholy-Nagy played a very important role in the history of photography especially when he “proposed that a photogram in which two dimensional surface of the photosensitive paper was exposed using only light from a flashlight to produce images that exhibit three dimensionality. The illusion of depth was created in the two dimensional space” (Les Rudnick, 2011). He also tried experimenting with objects that had different grades of transparency and thickness. “He also experimented with the concept of motion in the photogram image by actually moving objects during exposure” (Les Rudnick, 2011). I find his techniques very interesting and I think that Moholy-Nagy has succeeded in planting the first seeds of Interactive Media concepts into his public’s minds by using motion in his photography and by using all the light effects that he discovered and developed, “Moholy-Nagy broke the chains of conceptual limitations and expanded photographic possibilities” (Les Rudnick, 2011). He was fascinated by everything that was surrounding him, “he was fascinated by the city, by the skyscrapers and factories, the fast-developing industrial landscapes of the early 20th century” (Fiona Mac Carthy, 2006) and this inspired him in his creations. The Russian Constructivism influence, I think it’s obvious, especially in images 2 and 3. I like the way he uses geometrical figures, especially in image 2 and also, I like the way he integrates the black shapes into a colourful design. Laszlo Moholy-Nagy had a very unique way of naming his paintings (some don’t even have a title at all), for example, “he titled the Telephone Paintings not with words but with letters and numbers like a factory production code” (Fiona Mac Carthy, 2006; image 4). Moholy-Nagy had a great influence on the way the art world evolved and had a very important role in how the art world is seen today. 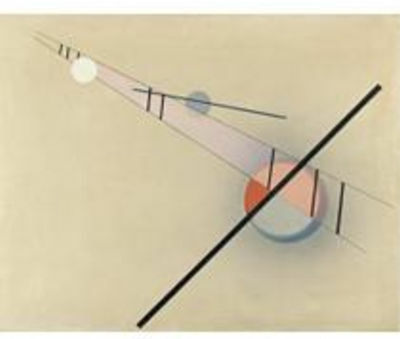 Moholy-Nagy’s “vision of a nonrepresentational art consisting of pure visual fundamentals- colour, texture, light and equilibrium of forms- was immensely influential in both fine and applied arts” (Encyclopaedia Britannica, 2010). 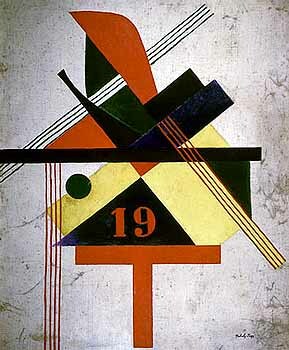 We can clearly observe that the use of space and the colour palette are characteristics of the Constructivism movement and it is obvious that this was one of the biggest influences of his artwork. All in all, “as professor of the metal workshop and responsible for teaching the preliminary design course at the Bauhaus, Weimar, Moholy-Nagy is a key figure in the history of modernist design” (Peder Anker, 2011). 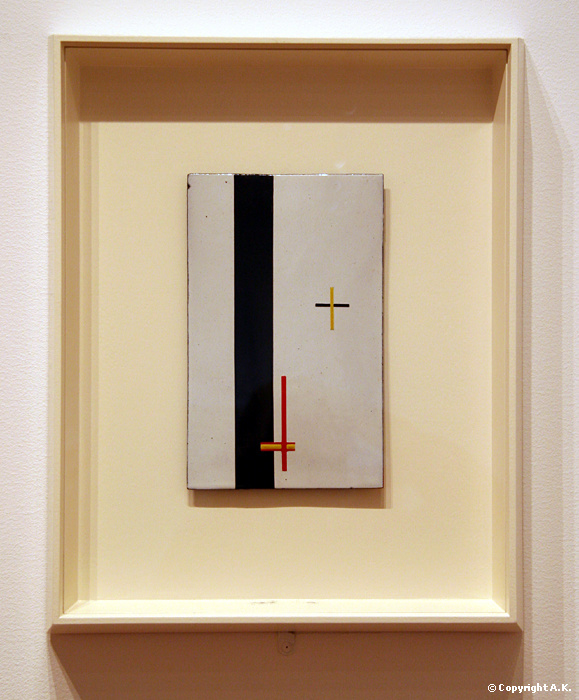 I think that his work is very interesting and that, Laszlo Moholy-Nagy is an icon for art in many of its forms.